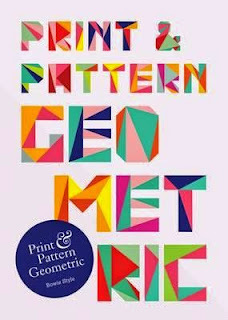 The latest in this stunning series of books, compiled by design-lover Marie Perkins, Print and Pattern Geometric is a stunning eye-boggle of design elements featuring bold and bright geometric imagery from all around the world. Showcasing the works of artists creating in a variety of media, each entry supplies sample artworks as well as a short biography and all-important links to their creations. Artists comes from a variety of backgrounds, from graphic designers and architects, to stationery and textile designers. They include: Emma Talbot, Inaluxe, Irina Radtke, Jackie Shapiro, Leah Duncan, Lotta Jansdotter, Miranda Skoczek, Muovo, Pattern State, Rachael Taylor, Sanna Annukka, Sian Elin, Suzie-Q, Villa Nova, Yao Cheng, and many more. A visual delight, and formidable inspiration for designers and artists, older children will also be immensely inspired by the artworks and biographies in this book. Look out for the other books in this amazing series.